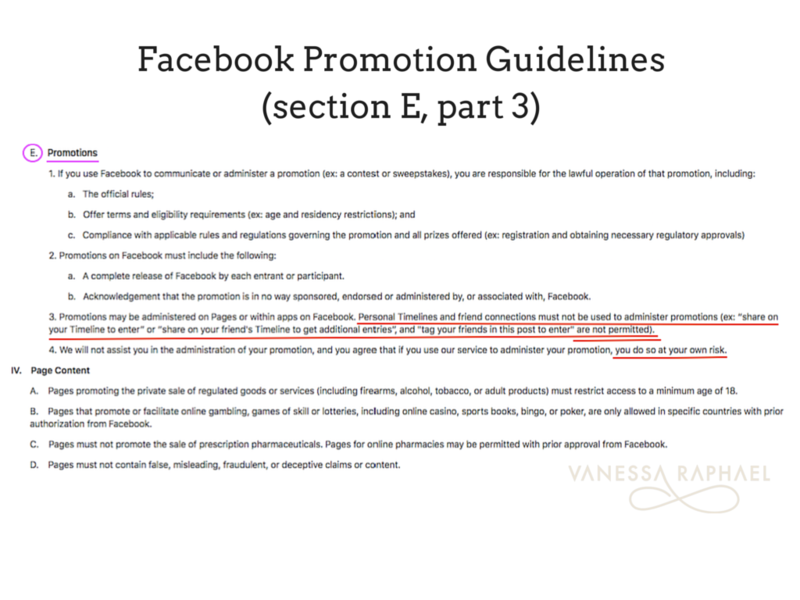 Facebooks competition rules are described in plain text on Facebooks promotion guidelines under the section “promotions”. or «Tag your friends in this post to enter» are not permitted. Also Facebook states under subsection 4 that «We will not assist you in the administration of your promotion, and you agree that if you use our service to administer your promotion, you do so at your own risk». See here for the guidelines. As initially described, you cannot tag a friend – or many to enter in to the drawing of a Facebook contest. This will spam the news feed to your followers and to their friends. And how fun do you really think it is to be tagged in a pizza? Or in a couple of socks? It is allowed to use common sense on Facebook and brand your business in a professional way. To become one of the biggest spam businesses on Facebook is not a badge of honour ;). Ask for a comment in the post. Ask for a relevant comment that has something to do with the post, or at least engage in a way that is relevant for your customer and your brand. Ask your followers to like the post where the competition is announced. You can also ask them to like the business page. This was not allowed some time ago but has now changed. Engage with your followers! It is a huge advantage that the friends of the friends that engages in the post can see the post in their own news feed. This allows for more people to join the competiton. You can also ask people to send you a message to your page, but honestly – who wants to do that? 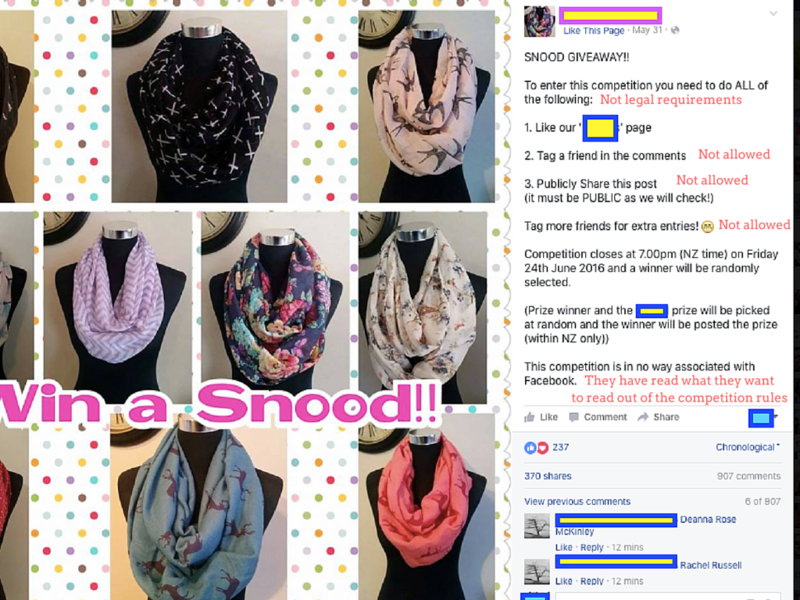 Since noone can see it, it will not make engagement for your page or the contest. You can also use the amount of LIKES to account for how many likes the page got, but that usually is more confusing than helpful – since people will like and then unlike etc. To count likes on a post can also send signals to your world that you now will spam their feed until you get the amount of likes you want for your page. It is not a good way to brand your business either. 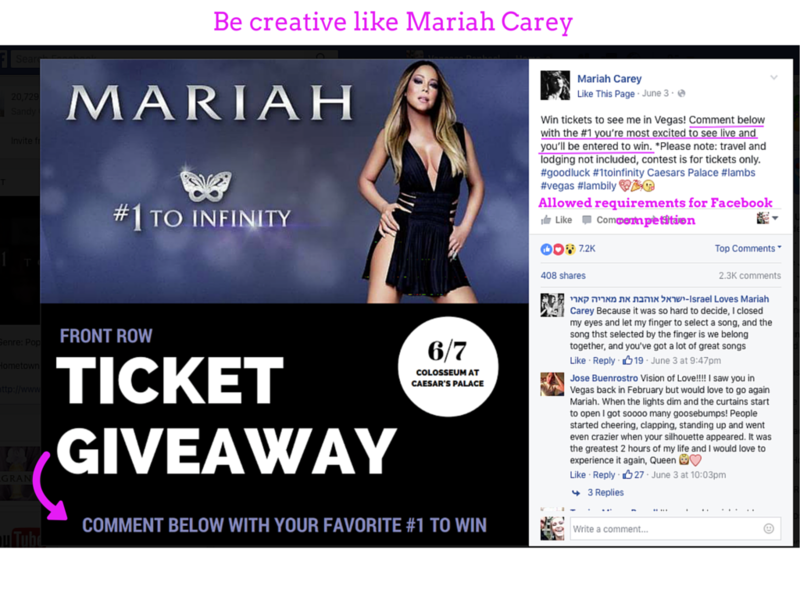 An example of a great way to have a competition is to do what Mariah Carey has done here: (My comments and hints are in pink). Count up all the comments and use for example random.org to generate a winner between the first and the last comment. Also, without having tested this myself, I’ve heard that woobox is a highly recommended tool for drawing winners. 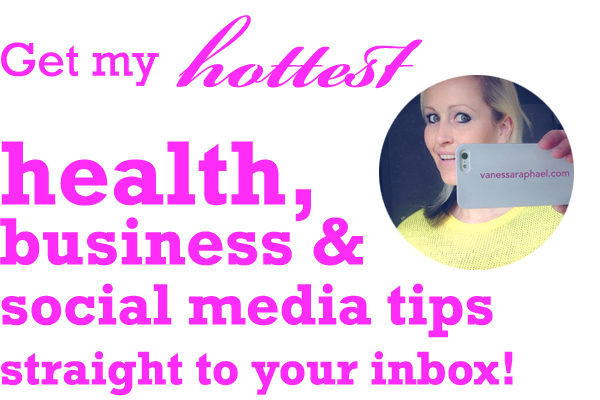 You can also upload a video blog of drawing directly to the Facebook page (your business page, not private profile) then you get maximum visibility since Facebook has expanded visibility for video which directly uploaded to Facebook as opposed to YouTube (which is their competitor) . You can also draw winners in this traditional way here. Here you can learn more about creating video blogs / video clips to the web . It is allowed to encourage to «share if you want to», but you cannot have sharing as a requirement for your competition on Facebook. 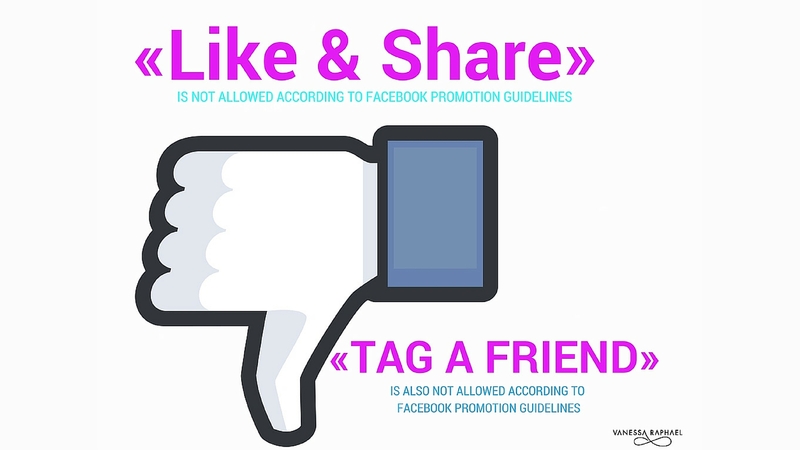 The words «LIKE & SHARE» will trigger a Facebook algorithm that turns down the visibility of your page. That means even less organic reach. 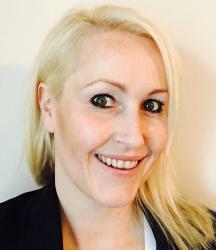  2. Engage and interact with your followers! 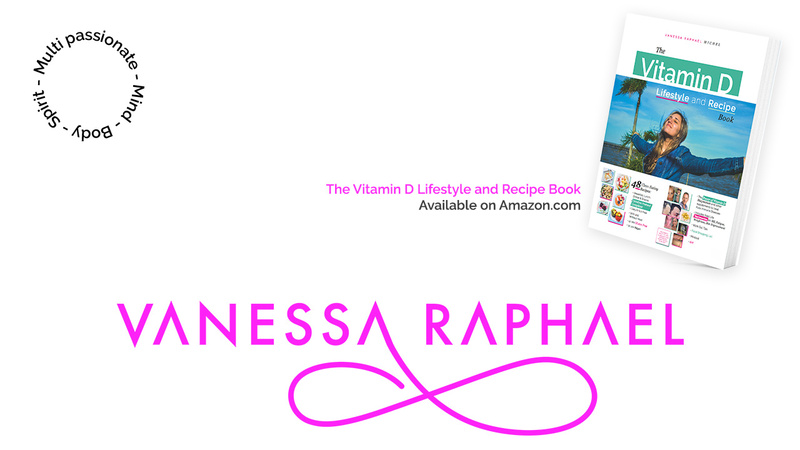 P.S It is allowed to share this blog post :) So please share it with someone you think will benefit form it. 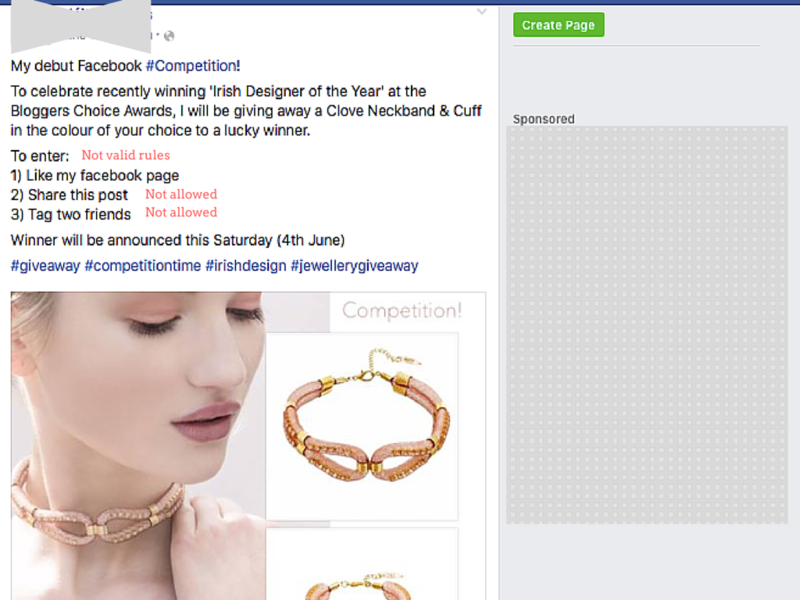 All the best with your Facebook competition(s) for your business!